Stuart Bury: Taking stock and drawing vikings. 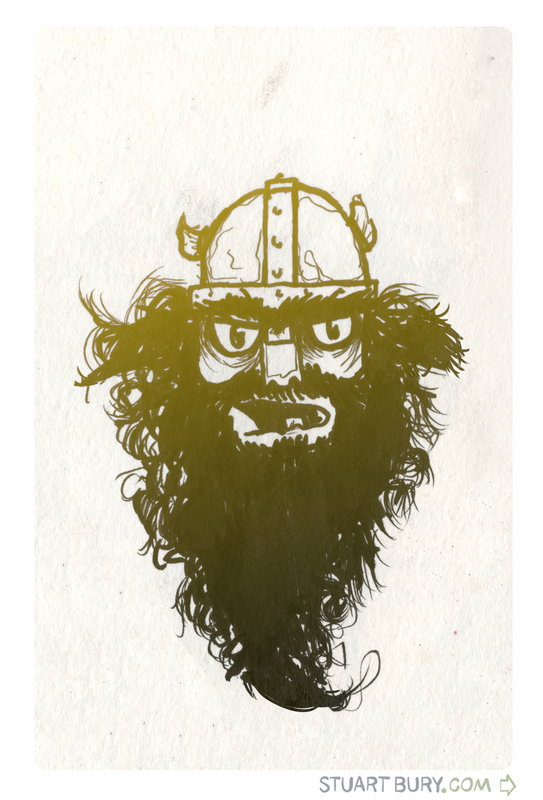 Taking stock and drawing vikings. I really appreciate all of you guys commenting and subscribing. Your participation is what makes this blog so fun to run. I have come to realize that the reason I love to blog is because I love to share what I am learning. I love talking to people about ideas. How can I share better with you? I don't have a real answer for the question. Just wanna say I look at every post. moar radass drawings pretty please. I also look at every post and enjoy it when I see a grumpy viking face. I want to make a game with your Vikings! A squad-based rpg/platform game with painted, parallax backgrounds. Kind of like "Symphony of the Night" but multiplayer with art straight from the head of Stu Bury. The best part of this drawing is that it looks AWESOME as my iphone lock screen. if there was only a derivative to set as my home screen. . .